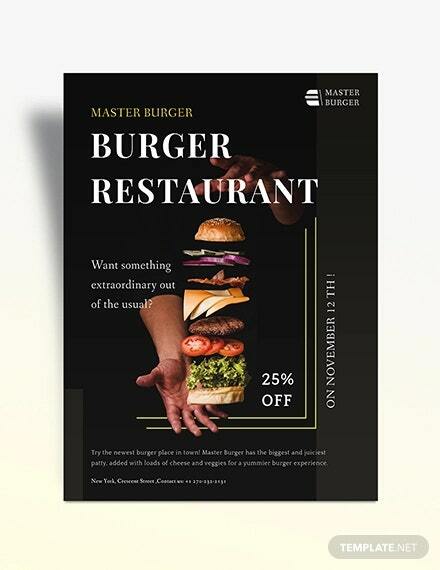 For restaurant owners who wish to attract customers’ attention to their hamburger, we have our selected sample burger flyers that can be fully customized according to your own preference. 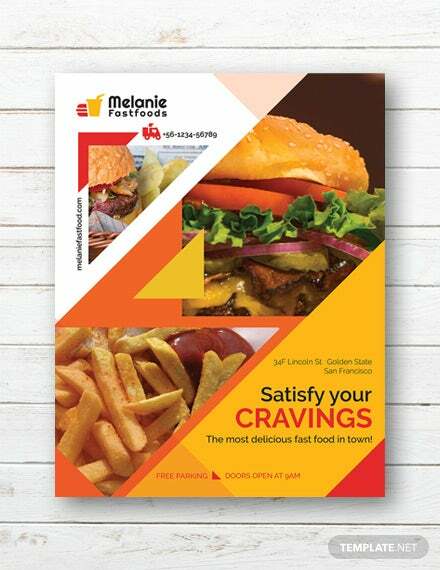 We have a wide range of sample flyers to choose from, so you don’t need to worry anymore because we already got you covered. 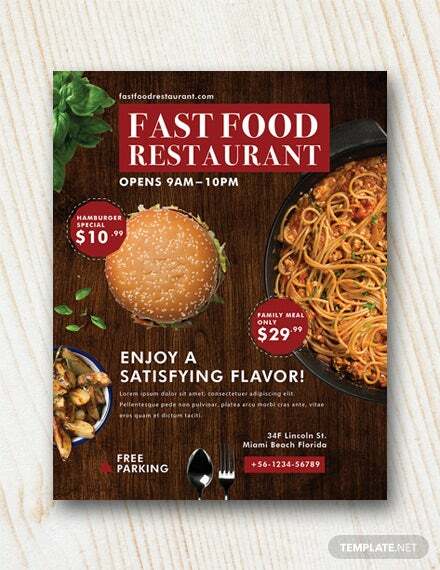 We even have fast food flyers that you can also check out. 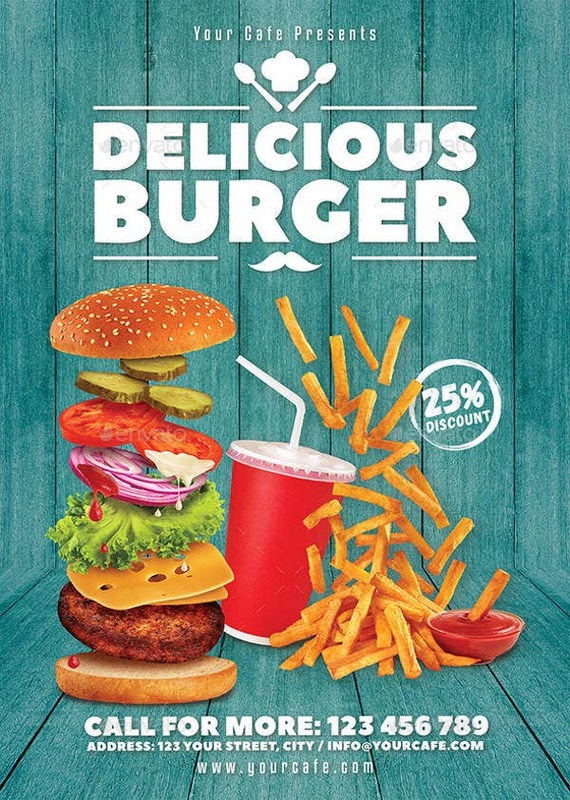 The hamburger has been around for a long time already, but back then, only fast foods would serve burgers. 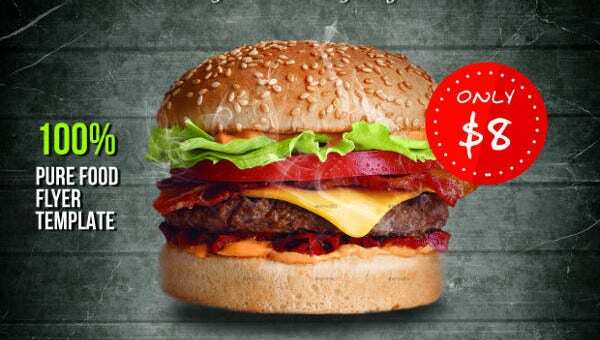 Nowadays, both fast-food chains and fine-dining restaurants have included the hamburger on their menu. No one has yet to confirm as to who holds the title of best hamburger in the world, but for me, any hamburger will suffice. 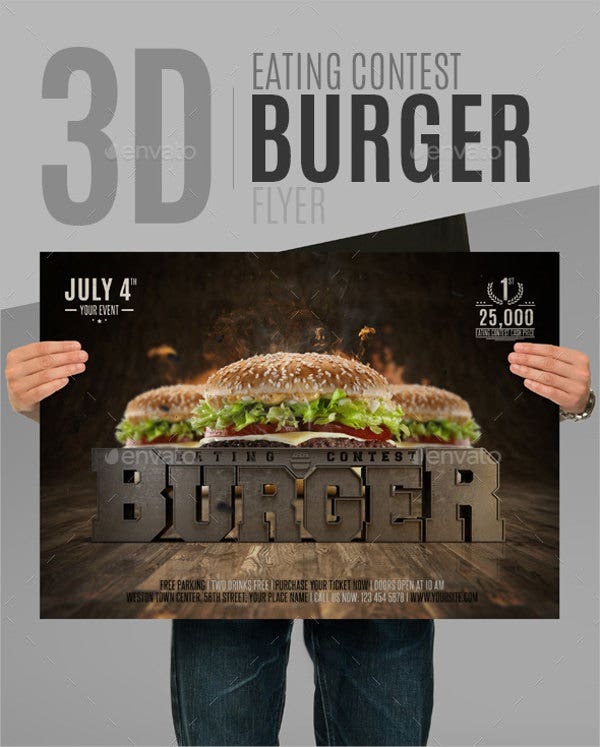 We have searched all over the Internet to provide our clients with the best of the best burger-themed flyers. 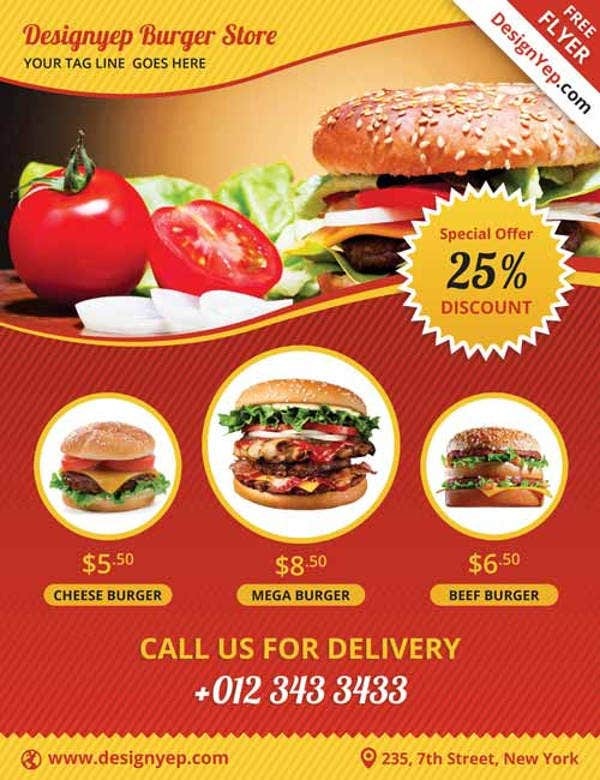 And these flyers have been professionally designed by creative and talented graphic artists to meet your standards. Noticeable. They can be easily noticed by the public, especially if made very well. Cheap. Not a lot of money is required to reproduce copies of the flyer. More personal. Personally giving a copy of the flyer may capture the interest of the people more than simply posting it on the wall. Measurable. 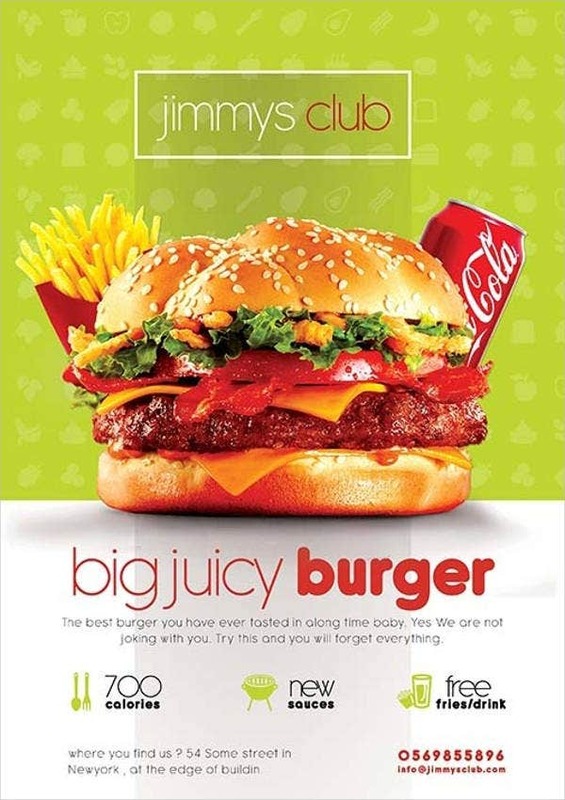 The effectivity can be measured by the quantity of flyers distributed and the actual number of customers. For everyone. Flyers are easy to read and fun to look at. 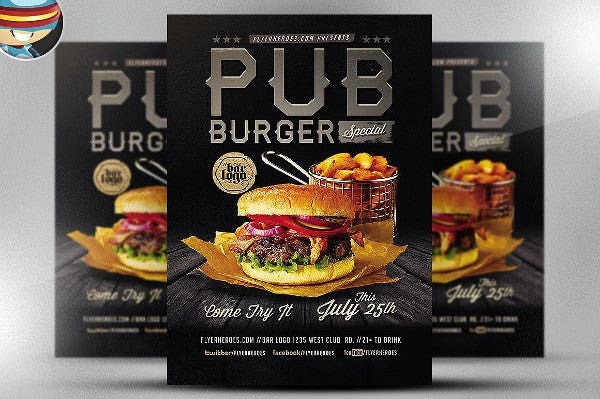 Though distribution of flyers may require more manpower for the job, with careful planning and execution, it could turn out even better than expected. And with planning involves the making of the design for the flyer. Thankfully, we have taken care of that. 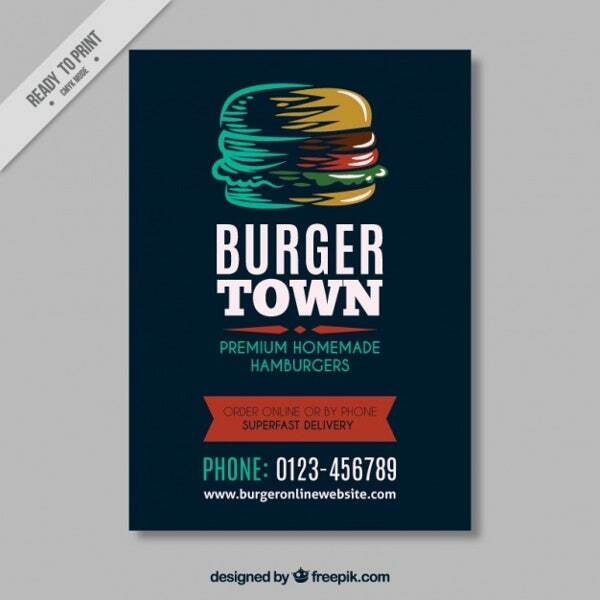 Whether you are looking for a modernized or a vintage-style flyer, look no further because we have it all for you. 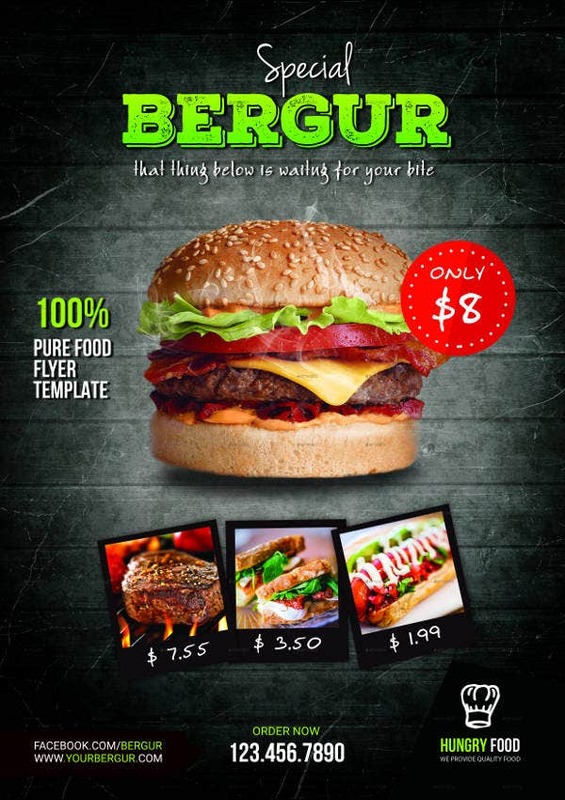 Simply choose from our great selection of burger-themed flyers and customize it to suit your needs. 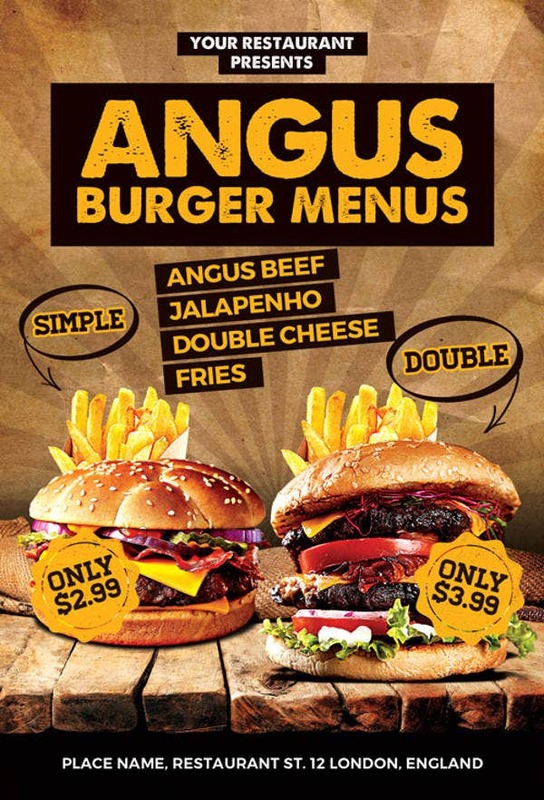 If you are looking for flyers that are or for your restaurants, check out our selection of restaurant flyers. 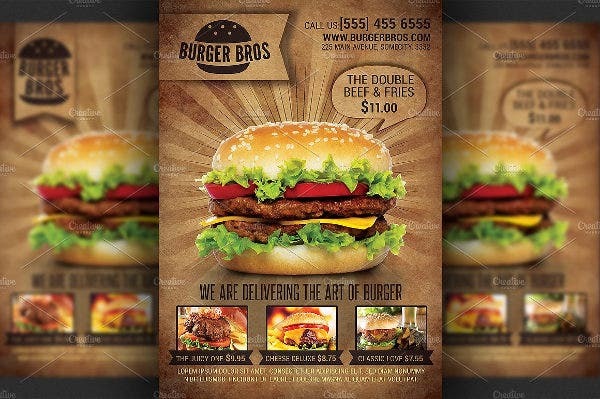 These professionally designed flyers come in high resolution, so you won’t need to worry about the image getting pixelated if you are looking forward to printing them on large-scale mediums. You can download these images in hi-res JPEG, PNG, and PSD. You can then have the freedom in the world to do the editing on the images using any photo-editing software. After which, you are now ready to have your image printed. 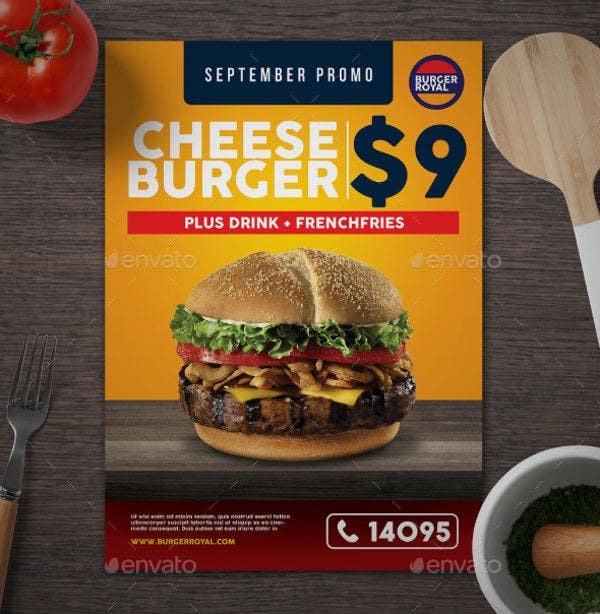 However, if you are looking for barbecue-themed flyers for all your grilling events, you may also check out our selection of bbq flyers. But if you want even more sample flyers to choose from, feel free to scroll down and check the other links on our website provided below.